I will start by saying, I’m not the kind of girl who counts down the days till flannels, boots, and pumpkin spice lattes. I hold onto summer for as long as possible. So while everyone bid farewell to summer over Labor Day weekend, I (un)kindly reminded everyone that summer is NOT over. Summer doesn’t end until September 23rd at sunset. That means there is still an entire week left! I also understand that it’s exciting to embrace the fashion and makeup trends that go along with colder weather, but because flannel and vampy lipstick look a little out of place while the weather is still hot and the leaves are green, I prefer to very slowly ease my way into fall. If you’re interested in easing along with me, I have gathered a list of beauty products from cruelty free brands that will help you hold on to summer a little bit longer and make your transition a little less… dramatic. Saying good bye to summer usually means saying good bye to sun kissed skin. Luckily there is bronzer. Transitioning your bronzer look from summer to fall is simple. Instead of shimmery shades, opt for a matte finish to tone it down and create a more natural glow. 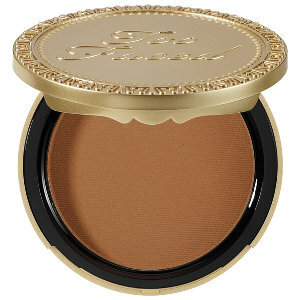 I recommend the Chocolate Soleil Matte Bronzer from Too Faced. Not only is the formula creamy and blendable, it smells like chocolate. I repeat: it smells like CHOCOLATE. Reason #85,490,283 why I love summer: no chapped lips. I understand it can still happen, but with the summer warmth and humidity I rarely reach for my chapstick. That is until last week when temperatures dropped and I had my first near chapped lips experience. It was an unwelcome reminder that cold, dry weather is on its way. 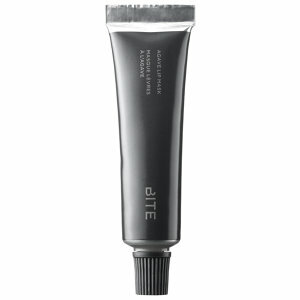 So in order to keep lips moist as the weather get dry, try the Bite Beauty Lip Mask. It is made with nourishing ingredients such as: organic agave nectar, jojoba oil, and vanilla extract. Apply it before you go to bed for an overnight boost of hydration. This fall lips are all about dramatic colors like fire red and almost black plum and burgundy. And while it’s fun to paint on a dramatic lip and pretend you’re a vampire for a day, it’s hard to get into character when you’re trying to soak up the very last bit of summer sun. So instead of using rich, opaque lipstick, try using sheer versions of trendy colors. These three shades from Lipstick Queen not only provide just the right amount of sheer color, but also contain Vitamin E for a super silky feel. For a pinch of plum try Hello Sailor. It may look blue, but the shade work in conjuncture with the pink in your lips leaving a pleasant purple tint. For a bit of a blackberry tint, try Bete Noire Possessed. And for a flattering dash of red, give Medieval a try. Messy waves are always in style. But that I-just-went-to-the-beach look is kind of hard to get when it’s too cold to go to the beach. 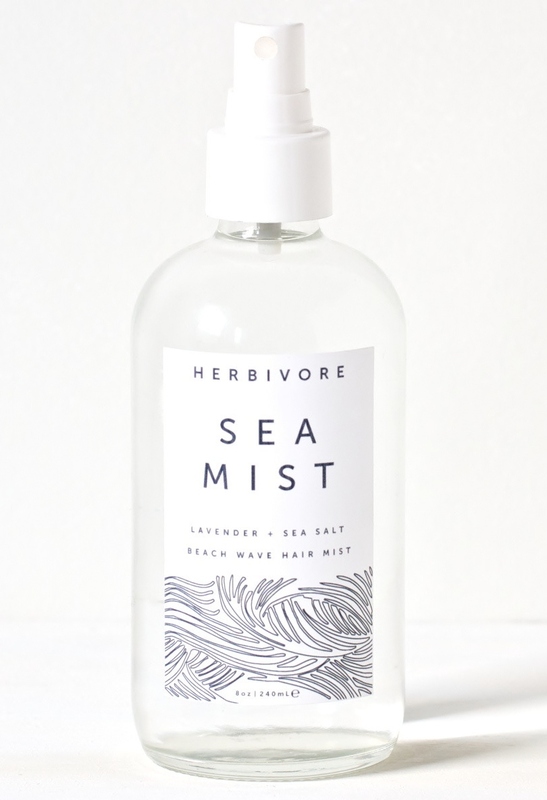 Enter the Herbivore Texurizing Sea Mist. It is made with the same salinity as the ocean and unlike a lot of sea salt sprays, this one doesn’t dry out your hair. It contains aloe vera which leaves hair soft and with just the right about of texture to style natural waves. Bonus: the spray is made of simple, all natural ingredients. Double bonus: you can also use it as a refreshing skin mist and/or toner. The simplest way to transition you nails into fall is to take you favorite summer color and pick a darker version. This summer was all about pops of blue, gray, and mauve. So to take those colors into fall think navy, steel gray, and rich purple. Not feeling any of those colors? A basic fire red is a fall staple that’s bright enough to still feel a little summery. The shades I picked out are from Zoya, which have the added bonus of being 5 free (do not contain: formaldehyde, dibutyl phthalate, and toluene, camphor, and formaldehyde resin). In the comments below, let me know how you plan to switch up your makeup routine and what fall trends you can’t wait to embrace. Categories: Uncategorized | Tags: Agave Lip Mask, Beauty, Bite Beauty, Bronzer, Cruelty Free, Fall, Fall Makeup, Lips, Lipstick, Lipstick Queen, Makeup, Nail Polish, Nails, Seasons, Summer, Too Faced, Transitions, Zoya | Permalink.